Unfortunately, 80% of people will suffer low back pain at some point in their life with up to 30% of people developing recurring problems with low back pain. These statistics are quite alarming. However, with early diagnosis and treatment most people will not go on to develop recurring back problems. This is where we come in! 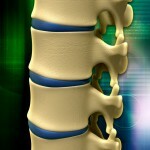 It is so important that as soon as you experience any back pain that you give us a call to arrange an appointment. When you come in to see us, we will do a complete and detailed assessment of your back and formulate a comprehensive treatment plan to help reverse your symptoms. I know that sounds like a long list so don’t panic, we can help! The ‘wait and see will it go away’ approach isn’t the best way of tackling your pain as it will leave you with more pain for a longer period and can increase your chances of developing a recurring back problem. Staying active is important and you should avoid bed rest. Our chartered physiotherapists will assess and treat back pain every day, so there’s no need to feel nervous about coming in to see us! If you do have any questions about any back pain you might be experiencing, do not hesitate to give us a call. It’s what we’re here for! Our chartered physiotherapists are covered by all major health Insurance providers. Please call your provider for details to your day to day cover.